TPMgroup has been protecting and servicing our environment for over 25 years at our original location in Bowling Green, Kentucky. While we have served on projects from Lake Michigan to the Gulf of Mexico, our primary service areas are Kentucky, Tennessee, and adjacent states. We are devoted to the improvement of your business as the single source for all your construction and environmental needs. Our highly qualified team is committed to serving our clientele with the highest quality of service, technical expertise, and ethical standards. With a complete fleet of trucks and equipment to implement and control response time to planned or emergency environmental and construction projects, TPMgroup has the resources needed to meet our customers' unique and specific demands. 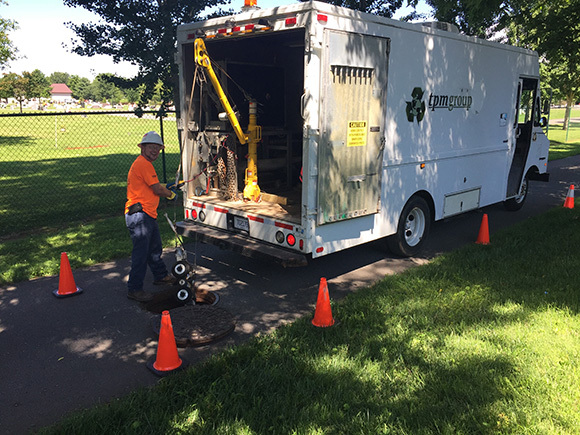 From the beginning, our crews will assess the site, prepare for the clean-up and remediation, properly dispose of the material and report the progress to you on a timely basis. We provide technical guidance with a complete fleet of trucks and equipment to implement and control immediate response to planned and emergency projects. TPMgroup is devoted to the improvement of your business as the single source for all your environmental needs.